What a lucky Wednesday. For those of us located smack-dab in the pocket of just-right temperatures of heavy, wet snow, we may have to think winter for a few more days. 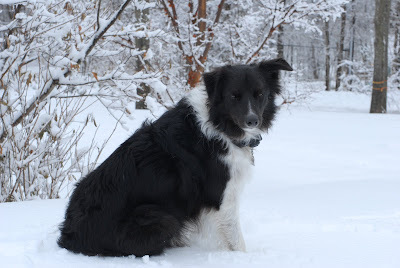 Look on the bright side - this snow is good exercise for the gardener. Just one shovel full makes your face grimace with pain. It’s real heavy stuff! So let’s think Hellebores. This special plant is often overlooked in the United States but one to be added to your list. This plant blooms early in the garden, sometimes forgotten as we get immersed in our early spring grunt work. Its special form and growing habits make it an ‘Annie’s’ favorite. 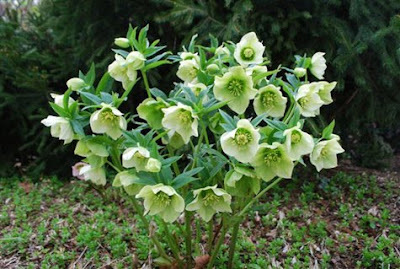 The Perennial Plant Association has helped this wonderful plant grow in popularity when it honored Hellebores as the 2005 ‘Perennial Plant of the Year’. This type of award always catapults s a plant into the throes of a gardener’s heart but we loved it long before then. In England, you’ll often see hellebores blooming in the winter with Chinese Witchhazel, Mahonia, Jasmine and winter flowering Rhododendrons. In New England, we just have to wait a bit longer.